Eastern Ukrainian rebels say they have withdrawn all heavy weaponry in Donetsk and relocated 80 percent of hardware in Lugansk, in accordance with the Minsk-2 peace agreements. 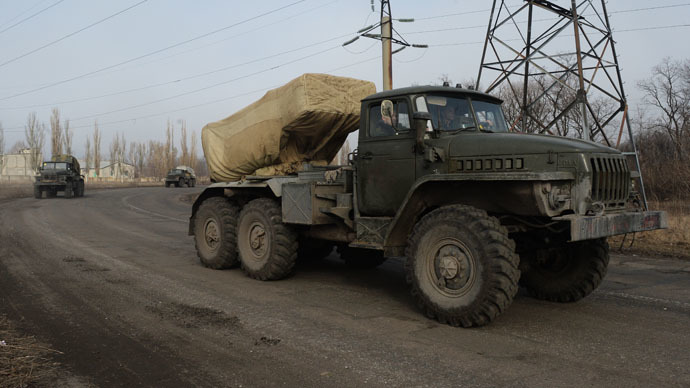 The self-defense forces of the Donetsk People’s Republic (DPR) said they completed the withdrawal of heavy weaponry from the 500-kilometer demarcation line. Heavy weapons were pulled back on Saturday in Donetsk, Torez, Dmitrovka, Pervomaisk, Bezymennoye, and Samoylovka, according to DPR spokesman Eduard Basurin. “During the whole withdrawal operation, the DNR militia has pulled out 21 artillery groups,” he said. The militias in Lugansk Region said they relocated most of their heavy arms, but will need a couple more days to complete the withdrawal. "As of mid-day February 28, the corps of the people's militia has withdrawn 80 percent of heavy weapons from the demarcation line. By March 2 or 3, the process of the withdrawal of heavy weapons is planned to be completed. Of course, if there are no incidents,” a Lugansk People’s Republic (LPR) statement reads. 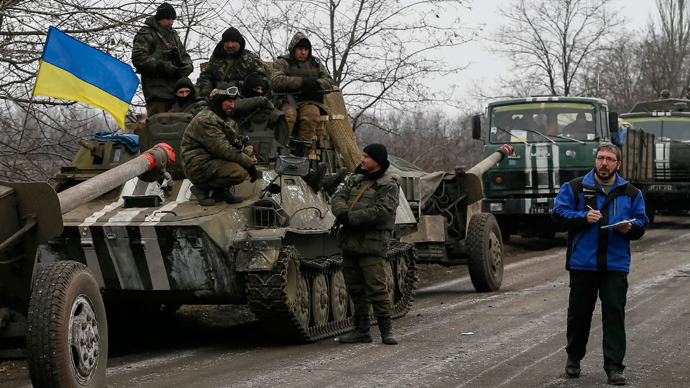 Ukrainian forces are also withdrawing their heavy weapons, but the rebels blame Kiev for delaying the process. According to Basurin, Ukraine has so far pulled out only 15 percent of its hardware in the Donetsk and Lugansk Regions. “There was no control from the OSCE (Organization for Security and Co-operation in Europe) and the weaponry was relocated to positions from which it can be returned within an hour,” the DPR representative said. According to the daily report by the OSCE’s Special Monitoring Mission, the Ukrainian military’s staff said it can speed up the withdrawal of weapons if the ceasefire agreed during the Minks talks holds. 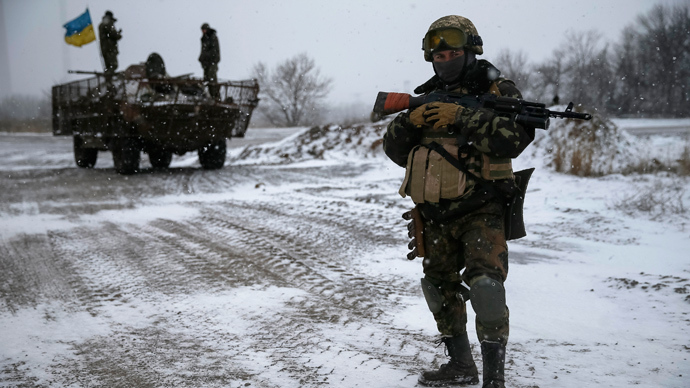 The report said that on Friday, observers witnessed the withdrawal of four DPR convoys and two LPR convoys, while Kiev pulled out some of is hardware from Artemovsk and Alekseyevo-Druzhkovka. The deputy chief monitor of the OSCE mission to Ukraine, Alexander Hug, told DPA news agency that the ceasefire between Kiev and the rebels is holding along most of the demarcation line. However, the sides may require more time to complete the withdrawal of heavy weaponry than the two-week period agreed in Minsk. The withdrawal of heavy weaponry is a mandatory step set out by the Minsk ceasefire agreements signed earlier this month. Under the deal, both sides must pull their heavy weapons back from the demarcation line to form a buffer zone of 50 to 140km, depending on the type of weapon. A prisoner exchange is also underway between the sides, with Kiev’s negotiator, Yury Tandit, saying he expects all Ukraine servicemen to be released by March 5.